Chips, gaps, cracked and misshapen teeth can all be corrected with dental bonding. No matter how your teeth were damaged, dental bonding can quickly and easily allow you to have the attractive smile you’re looking for and can improve your self confidence! At North Boulder Dental Group, we’re experts in using dental bonding to improve the appearance of damaged teeth for patients throughout Boulder, CO and beyond! Dental bonding can repair decayed teeth, cracked or chipped teeth, close spaces or gaps between teeth, and help change the shape of teeth. Dental bonding can also improve stained, discolored or yellow teeth due to aging, drinking coffee or wine, or enamel erosion. Using a tooth-colored resin material, dental bonding is a durable plastic that is applied to the teeth and hardened using a special light. 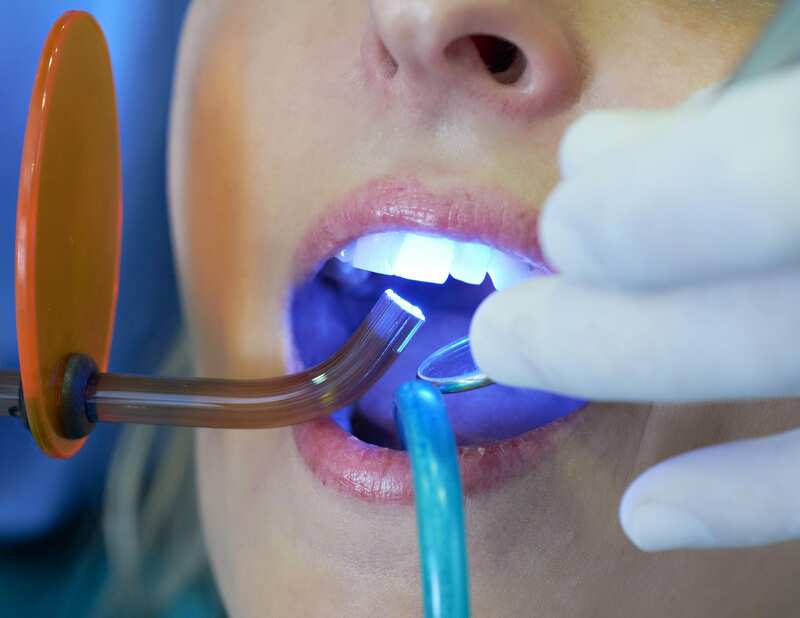 This light helps the material bond to the tooth, which gives a beautiful, natural result! Dental bonding is painless and requires only minimal alteration to your existing teeth. Your teeth will be prepared by lightly etching the surface of the teeth. Bonding liquid is then applied to the surface to hold the plastic resin in place. The resin is sculpted and shaped and then hardened using a laser light. Finally, the material is trimmed and polished. Dental bonding typically requires no anesthesia and takes about 30-60 minutes per tooth to complete. Your dental bonding treatment at North Boulder Dental will be customized to your needs and ideal color matching for your teeth color type. With proper care and maintenance, daily brushing, and regular checkups, your dental bonding can last 3 to 10 years. Dental bonding is one of the easiest, quickest, and most cost-effective cosmetic dental treatments available. Patients that require small cosmetic changes are ideal candidates for dental bonding! If you have flaws, chips, cracks or discolored teeth, contact us about dental bonding. For more serious dental damage or stronger cosmetic restoration, contact us to discuss options including porcelain veneers or other solutions that will give you a beautiful smile you deserve.